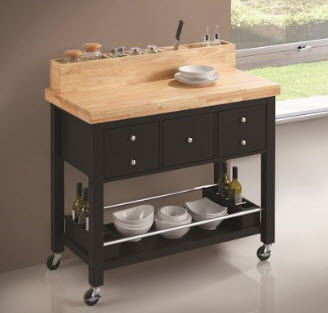 Designer kitchen cart features a butcher block top with built-in storage. 5 drawers & an open shelf in its base. Measures 44.00 X 23.00 X 43.00.